The Intentia Movex Java solution improves Intentia customers’ business processes. It offers of an optimum set of knowledge, tools, methods, and functionality for a successful configuration and implementation of Movex. 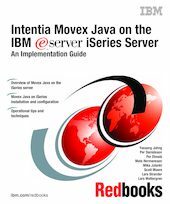 This IBM Redbooks publication provides a detailed guide that explains specific tasks associated with implementing Movex Java on the IBM eServer iSeries server. It is based on a collection of knowledge gathered by the architects and developers behind Movex Java, and by the Intentia professionals who have implemented Movex Java at customer sites. This book is designed to assist Movex Java customers, Movex Java consultants, business partners, and IBM technical and service representatives. It targets these professionals who are directly involved with implementing a total business solution consisting of the Movex Java solution, the iSeries, the DB2 for iSeries database, and supplemental solution products.